…nobody quite remembers, to be honest. ESN Karlsruhe – or AK Erasmus as it was called at the time – was founded sometime around the year 1990 as a working group of the Department of Economical Sciences at what back then was still called the “Technical University of Karlsruhe”. However, we soon became a “Hochschulgruppe” (student association) open for all students in Karlsruhe. In 2008, we officially joined the ESN (Erasmus Student Network) which had been founded independently around the same time as our group, making us part of one of the largest student networks in the world! Finally, in 2018, we changed our name to ESN Karlsruhe e.V. to reinforce our connection with this Europe-wide network and are now a non-profit organization with approximately 40 members. ESN Karlsruhe is basically dedicated to two main fields: First of all, we want to make life easier for all the international students coming to Karlsruhe every semester through various exchange programs, most notably ERASMUS+, but really we are here for everybody! To help people get started with their stay abroad, we organize the International O-Phase (international orientation week) twice a year in collaboration with KIT’s official International Students’ Office (IStO). During the course of the semester, we continue our service to the international community of Karlsruhe by offering exciting and affordable parties, city trips and other events. For example, every Tuesday we organize an International Stammtisch (international get-together) in changing locations around Karlsruhe. We also have a Buddy-Program, where we aim at bringing international students and locals closer together. Short and sweet, we consider it our mission to make sure all international students experience an unforgettable time in Karlsruhe! Our other field of action is offering consultation to German students who want to go abroad. Whether you are having troubles with the forms for Erasmus, or just want to know if there has ever been anyone taking a certain course at a certain university, we’ve probably got you covered: We’ve got a big database of former exchange students (because of the DSGVO currently not so big), and many of us have personal experiences with going abroad, meaning we probably have the answers to most of your questions – or at least know whom you should turn to! Just stop by during one of our regular office hours! Our internal structure is quite simple actually. 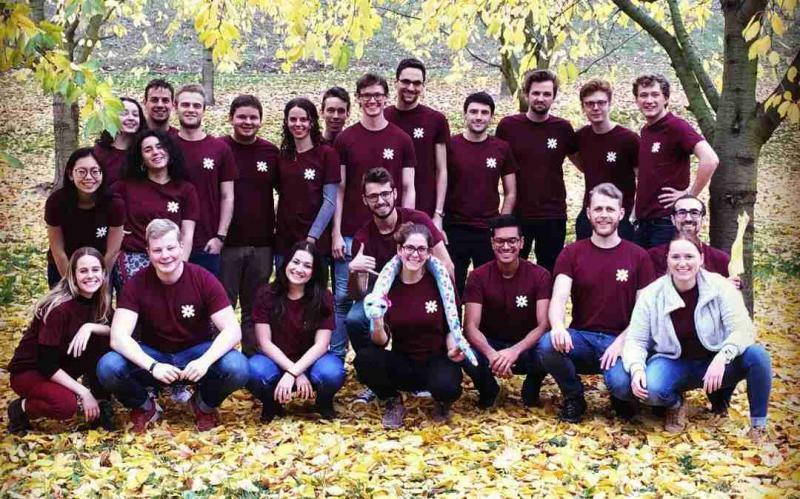 We are a group of about 40 students, both Germans and international students, and people put in as much work as they like (or have time for) into the ESN group and its cause. Formally, we also have a board with three chairmen and a treasurer, but they don’t have special privileges: We are a very democratic organization, and everything we do is discussed during our weekly meetings.